← What About Getting a Shingles Vaccine Shot? When it comes to Halloween, you could spend a bundle on mass-produced costumes but you don’t have to. Here I’ll give you some ideas for simple but effective Halloween costumes you can put together. They are guaranteed to be unique, since you create them yourself, and chances are they will cost you little or nothing. Be Somebody: Used Car Salesman? Zombie? What T-shirts do you already have that could be turned into costumes? You could use an adult’s t-shirt for a girl and have a whole dress right there. Any black or orange t-shirts in the house? If the designs on them aren’t suitable for the season (or the age of the wearer), you could use them inside out. I have turned old t-shirts into necklaces , and this could work for Halloween. Any black t-shirts to sacrifice for the event? Black might be the most dramatic color, but you can use anything. I have several sets of necklaces and I wear them in the cooler seasons mostly. Another way to make costumes with T-shirts is to decorate them with glitter and fabric paint and such things. Older kids can do this and younger ones can help you. What else is in your closet? Or the closets of family members or friends? All kinds of things that people don’t really want stay in their closets. To fit children, don’t forget that useful tool, duct tape. Many thrift stores save costumes and other unusual things to put out before Halloween. Ethnic clothing that you might wear at other times… orange or black items… who knows what you could find? This is a good one to explore early, but you might just stroll in a few days before Halloween and find something fun. Here’s an amusing list of 97 ideas, with suggestions for making costumes. As a librarian by background, I didn’t appreciate their styereotyped idea that you should go around telling people to shush! Makeup can dress up a plain costume, and it’s often quite inexpensive. Here’s a link to a list of Halloween makeup kits. When it comes to Halloween costumes, your kids may prefer a purchased costume. 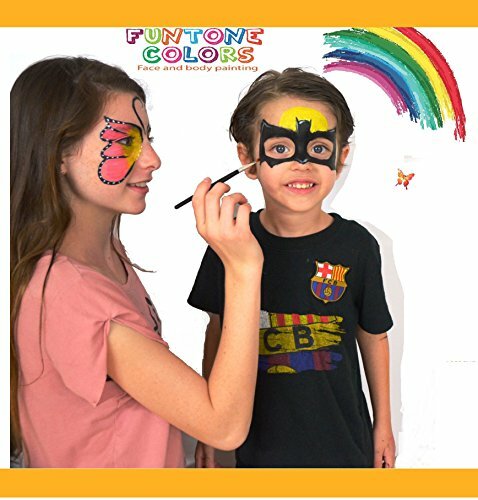 If it’s something that they can use for dressing up and imaginative play at other times of year, these may be worth getting.